bobandkatherine.com » Blog Archive » Why Yes, Our Site Now Translates to 58 Languages! Why Yes, Our Site Now Translates to 58 Languages! Have you heard…bobandkatherine.com is now available in your native language! 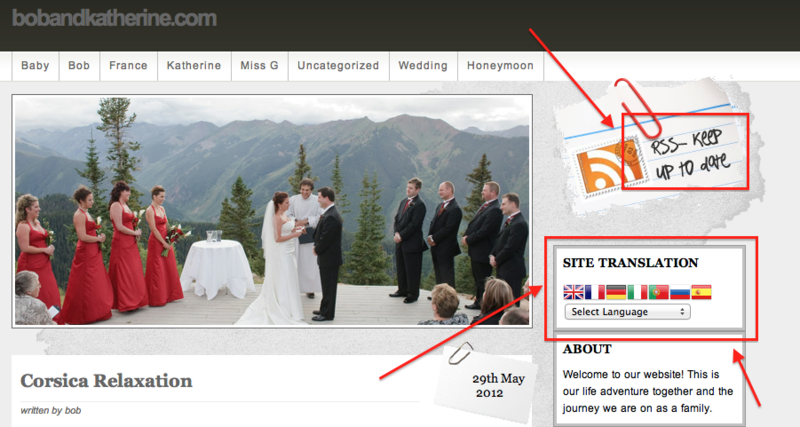 With english being our first language with french as a distant second, we obviously compose all our blogs in english. HOWEVER now, you can have our blog translated to your language of choice. Pretty sweet, EH? HAHA! Yes, that’s my Canadian in me coming out. HEY, wait a second…I didn’t see “Canadian” in this language lists?!? WHAT THE…? Translate our site to your language of choice. Also, don’t forget you can subscribe to our RSS Feed. That way all new posts will be delivered automatically to your inbox or favourite RSS reader. What’s that? You need the steps to subscribe. Glad you asked. You will find them here from a -> past post.